It’s time for spring break and you want to celebrate the season as a family, but funds are limited. You don’t need to be sidelined from enjoying time away from the usual grind. There are ways to have an exciting vacation without breaking the bank. With a little creativity and thinking outside of the proverbial box, your family can enjoy a memorable vacation that doesn’t exceed your budget. 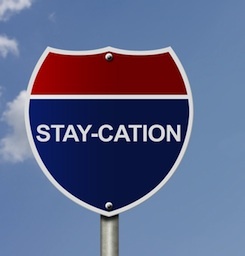 Consider a Staycation – So many families use this opportunity to travel to places like Disney World, fancy resorts and high-end amusement parks. You really don’t need to go very far to have an enjoyable break. Find out the tourist offerings in your area, and get to know your own backyard. So often, people neglect to enjoy the rich heritage and sights of their own cities or towns in favor of big spending in exotic locales. The money you save on gas and airline tickets will afford you the chance to explore all the local excitement that you’ve been missing. Check Discount Travel Sites – These websites are in abundance. Searching for just the right vacation at just the right price only takes a little of your time, even if you have to search several discount travel websites to find a great deal. If you know the area you would like to visit or the type of adventures you are seeking, you can narrow your search considerably. Work With a Travel Agent – A good travel agent will find you the perfect springtime getaway. Create a list of all the things you would like to do while you are away, and where your budget stands. The more detailed information you can give your agent, the better she will be able to meet your needs. It helps to know a little about the cost of some activities in the area; for example horseback riding along the beach can be a little pricey. Take those things into consideration when setting the budget within which you wish to work. Take Advantage of Perks – When you get a travel package, there will likely be coupons or tickets that come with it. You may have to ask for these extras, but they’re almost always available. Sometimes asking will get you even more than what’s normally offered. Take advantage of these perks. They usually consist of free or discounted food and activities, all of which can add up over the course of your trip. Think Ahead – If you are planning a cruise and are going to take advantage of the off-ship tours, consider booking those in advance. You may save some money by setting up side excursions prior to your trip. If you are working with a travel agent, be sure to ask about how you can get the best deals on side trips. Travel Off-Season – When you are lucky enough to have kids that aren’t in school, or if you are home-schooling your kids, you can take advantage of off-peak destinations during the spring without hitting hot destinations while everyone else is on a designated spring break. Booking a trip when your destination is experiencing a down time can mean huge savings for you. Prices generally drop for hotels, and for many activities as well. If you can score a coupon book through the local chamber of commerce, you can also get meals at discount rates. Grab an All-Inclusive Package – There are some spots that are completely self-contained, especially if you’re looking at resort destinations. You get to stay at the hotel and all the amenities are right there, including entertainment, restaurants and activities. Generally these bundles can be expensive, but if you can manage to go during an off peak time you may get a great deal when you consider how much those perks would cost if they were purchased separately. Consider Mom and Pop Resorts – For those who are just interested in some quality family time, looking into visiting one of the smaller resorts can be a big money-saver. Many privately-owned resorts have very reasonable rates, as well as friendly service. They may not offer all the glitz and glamor of the commercial destinations, but the low key environment is perfect for spending unplugged time with the kids. Travel In a Pack – Get some of your friends together and book as a group. Many places offer group discounts, so you and your friends can save money by traveling together. Organizing a group trip will take some planning, so you may want to get started well in advance or have a travel agent help you. Take advantage of special rates offered for groups for shows and activities in the area while you’re there. Book a Room With a Kitchen – This can save you a lot of money, particularly when you have kids. Even if you only make one meal a day, you will be saving money. Many rooms come with refrigerators and microwave ovens. If your room doesn’t have one, ask if they have any available. Spring break deals sometimes need to be made by piecing together the best and least expensive of what’s offered. Keep in mind that what will really make your vacation awesome are the memories you create and not the money you spend. You can have a tremendous retreat wherever you decide to make it happen.